Itens Inclusos: 1 unidade: Licença digital do software Visual TFT (Sempre última versão. Licença enviada por E-mail). Observação: As licenças dos softwares mikroC, mikroBasic e mikroPascal são comercializadas separadamente e NÃO estão inclusos neste produto. 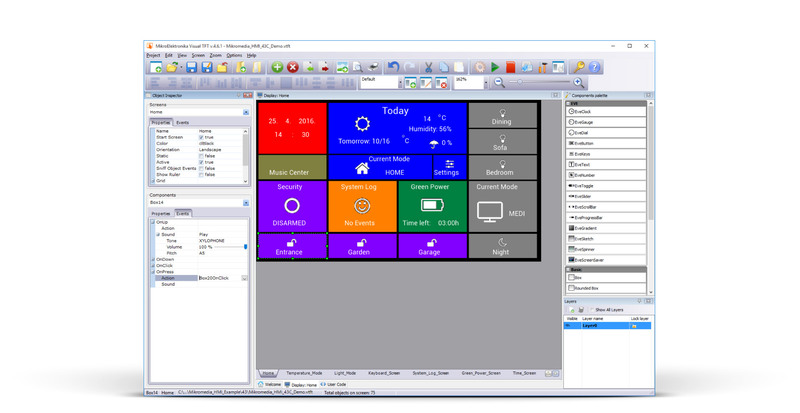 If you need to design and deploy embedded TFT interfaces rapidly, the answer is Visual TFT – our GUI (graphical user interface) creator. Great for making smart-home touchscreen controllers, vehicle dashboards, industrial HMIs and more. 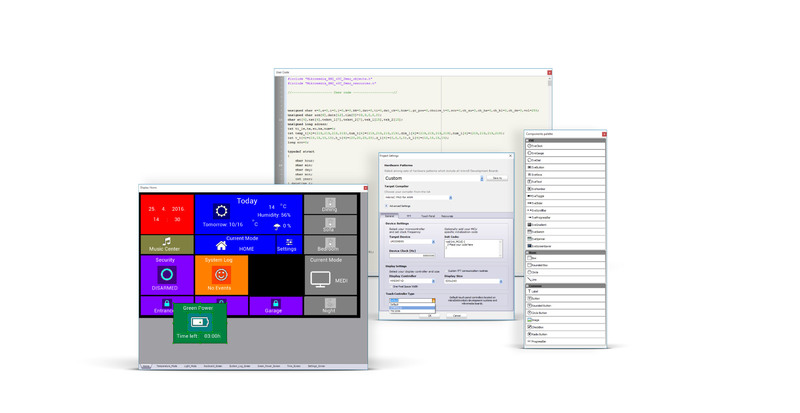 VisualTFT is best used as part of a workflow together with mikroC, mikroBasic or mikroPascal. To further accelerate development time, use our smart display solutions. Visual TFT will soon be integrated into mikroC, mikroBasic and mikroPascal compilers (the IDEs for FT90x and dsPIC already have this feature). The integrated solution allows for a streamlined workflow. Seamlessly switch between designing and coding using keyboard shortcut F12. Drag and drop graphic elements while the compiler generates the code automatically in the background. Modify the generated code in the compiler and create event functions. Visual TFT has a simple and clean interface that will be familiar to anyone who has ever used a WYSIWYG (what-you-see-is-what-you-get) graphic editor. The workflow is optimized for efficiency. The focus is on interface functionality and rapid implementation. 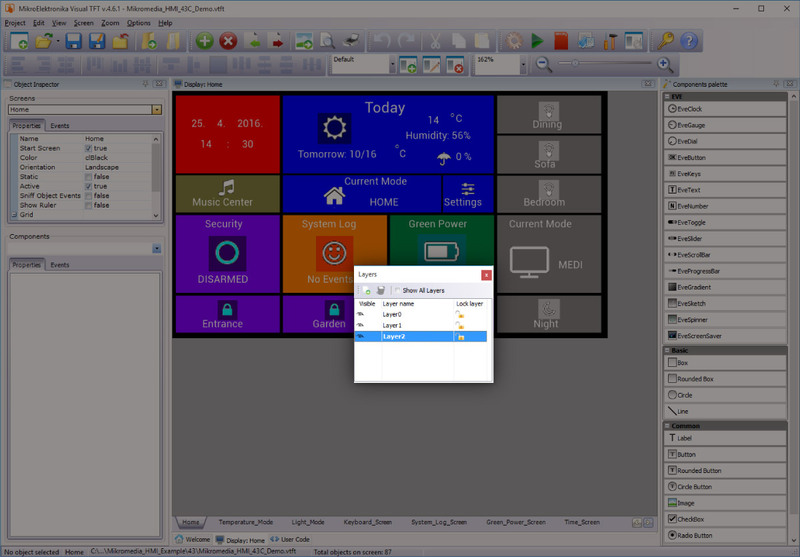 Drag and drop visual elements to compose the GUI. Add buttons, sliders, clocks and labels, animations, screen-savers and more. Define events that will drive the embedded system behind the screen. 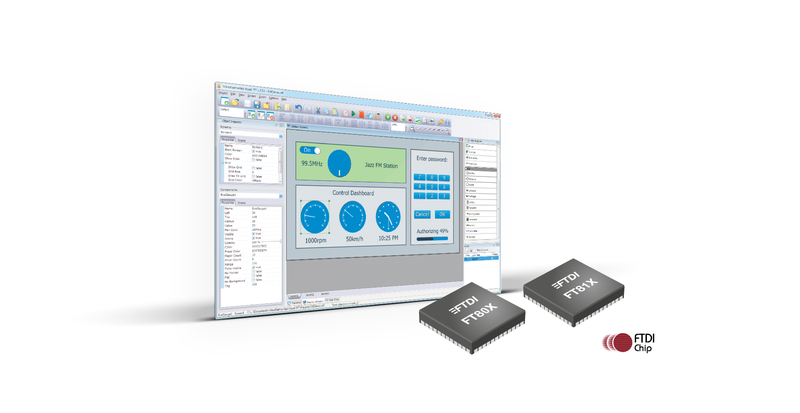 Visual TFT will generate mikroC, mikroBasic or mikroPascal code based on your design. Modify the code in the compiler IDE. Compile, and get your GUI running on a target TFT display. 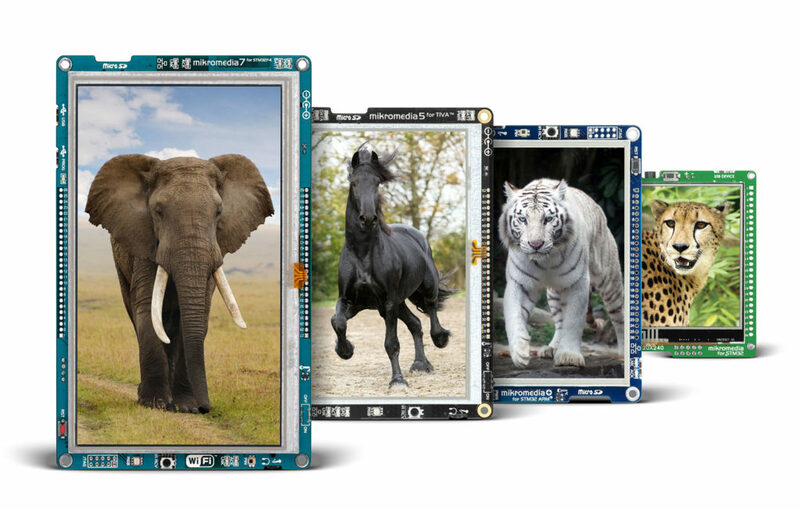 Visual TFT supports all mikromedia boards from MikroElektronika. This includes the original mikromedia prototyping boards, as well as the mikromedia HMI boards intended for industrial applications. Displays range from 3.4″ to 7″ inches, with the choice of 8-bit, 16-bit and 32-bit MCUs in seven architectures. The HMI version includes both capacitive and resistive touchscreen types. 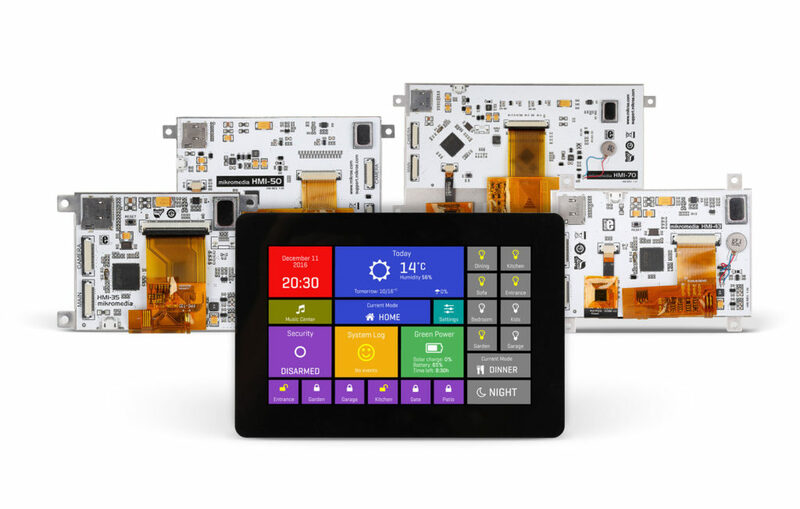 Each board has a hardware pattern, a configuration template with hardware connections for TFT and TouchPanel, and you can do all necessary settings with a single click. Visual TFT supports total of 17 TFT controllers and 5 different display sizes (although you are free to tweak the exact resolution). 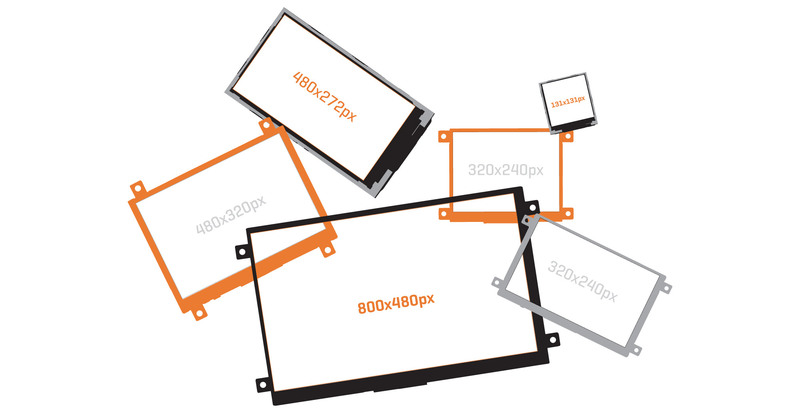 The most popular are 320×240 TFT displays running on HX8347-D controller. This display is found in many embedded devices world wide. All mikroElektronika multimedia boards have this display integrated, so you’ll have all hardware you need to get started. You can also order TFT displays separately. 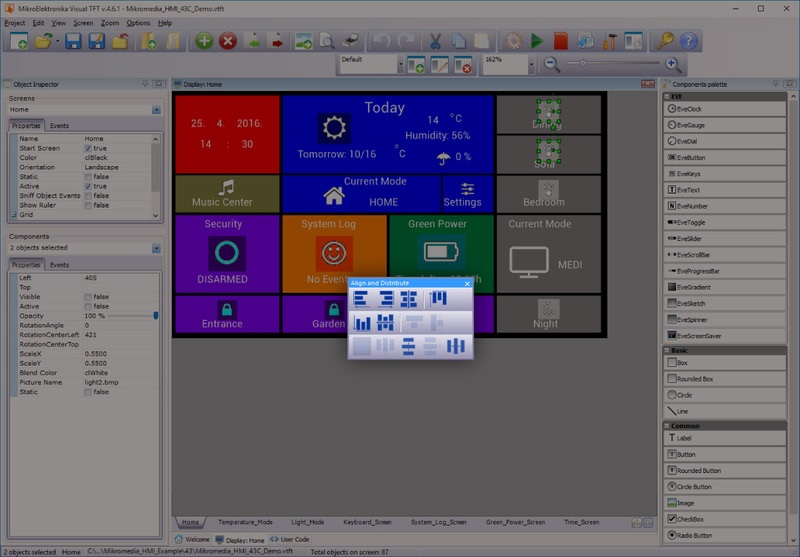 VisualTFT also supports FTDI chip®’s latest EVE GUI Platform and FT8x and FT81x families of graphics controllers. These powerful devices allow for sophisticated forms of human-machine interaction and more satisfying user experiences, including video playback. EVE integrates display, audio and touch onto a low cost, easy-to-use, single-chip solution. The EVE family has an object-based structure (where objects can be images, fonts, etc). 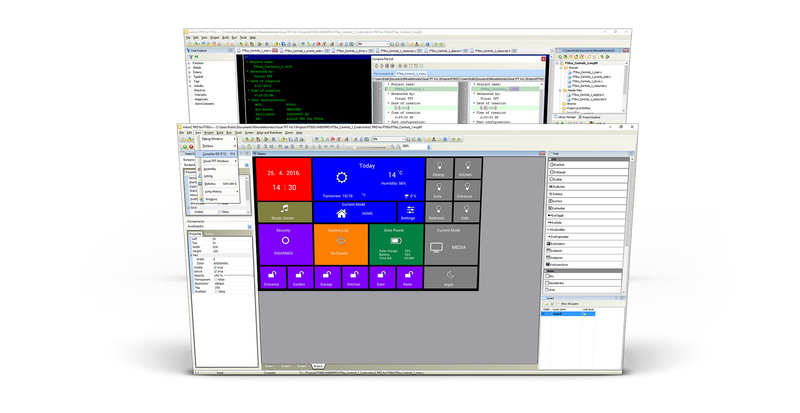 This offers engineers with an easy way to design more effective GUIs for TFTs, with all the display, audio and touch functionality included. Visual TFT is the first software in the world to provide full support for many of EVE’s powerful features like sound, transparency and anti-aliasing fonts. 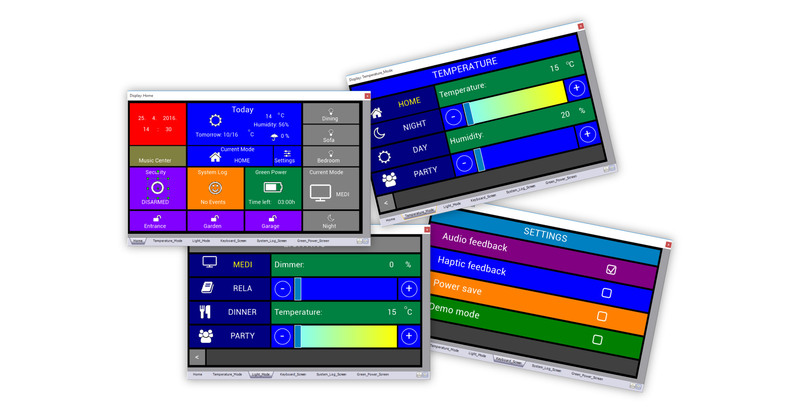 There are 12 new components available for GUI design, which are natively supported in the controller itself. The simple and clear interface of Visual TFT makes it a favorite both among professionals in hobbyists. Case #1: One company makes award-winning geothermal heat pumps. Their flagship model has a 5-inch touchscreen user interface developed in Visual TFT. Case #2: Dozens of Visual TFT projects are available on our community website Libstock. One interesting example is an air traffic control system for model airplanes. The interface integrates telemetry data updated in real time. The diagonal of the TFT is not a constraint. You can create complex GUIs even on small displays. The interface can spread across multiple virtual screens. Each one can be a single application or a container for a specific functionality. Easily traverse through screens, change the orientation and background colors and organize components. With the zoom feature, screen grid, and easy manipulation of content, screens are really easy and pleasant to work with. Visual TFT supports layers in your design. You can logically group components as in any other vector graphics editor. Being able to specify layer position and visibility, as well as to lock layers will help you a great deal in your design.